The 2000 Major League Baseball season ended with the New York Yankees defeating the New York Mets in five games, for their third consecutive World Series title. The 2000 World Series was known as the Subway Series because both fans and the two teams could take the subway to and from every game of the series. June 2 – The Montréal Expos announce they will wear Maurice Richard's uniform number 9 on their jerseys for the rest of the season to honor the Montreal Canadiens great who died the previous week. It is believed to be the first time a major league team has honored an athlete from another sport in this way. June 16 – Yankees second baseman Chuck Knoblauch voluntarily leaves the field after six innings of the Yankees' 12-3 loss to the Chicago White Sox, after making three throwing errors. He leaves Yankee Stadium in his street clothes while the game is still in progress. The Oakland Athletics changed to black spikes, ending a longtime tradition of being the only team in the majors with white cleats. This was the first season since 1962 the Athletics did not wear white shoes. ^ "2000 Major League Baseball Standard Batting - Baseball-Reference.com". Baseball-Reference.com. Archived from the original on November 12, 2017. Retrieved May 1, 2018. ^ "Anaheim Angels Managers". Baseball Almanac. Archived from the original on September 18, 2002. Retrieved March 11, 2012. ^ "Baltimore Orioles Managers". Baseball Almanac. Archived from the original on January 3, 2012. ^ "Boston Red Sox Managers". Baseball Almanac. Archived from the original on March 11, 2012. Retrieved March 11, 2012. ^ "Chicago White Sox Managers". Baseball Almanac. Archived from the original on January 18, 2000. Retrieved March 11, 2012. ^ "Cleveland Indians Managers". Baseball Almanac. Archived from the original on August 16, 2000. Retrieved March 11, 2012. ^ "Detroit Tigers Managers". Baseball Almanac. Archived from the original on January 18, 2000. Retrieved March 11, 2012. ^ "Kansas City Royals Managers". Baseball Almanac. Archived from the original on January 18, 2000. Retrieved March 11, 2012. ^ "Minnesota Twins Managers". Baseball Almanac. Archived from the original on January 18, 2000. Retrieved March 11, 2012. ^ "New York Yankees Managers". Baseball Almanac. Archived from the original on October 12, 1999. Retrieved March 11, 2012. ^ "Oakland Athletics Managers". Baseball Almanac. Archived from the original on January 18, 2000. Retrieved March 11, 2012. ^ "Seattle Mariners Managers". Baseball Almanac. Archived from the original on March 12, 2000. Retrieved March 11, 2012. ^ "Tampa Bay Devil Rays Managers". Baseball Almanac. Archived from the original on January 18, 2000. Retrieved March 11, 2012. ^ "Texas Rangers Managers". Baseball Almanac. Archived from the original on January 18, 2000. Retrieved March 11, 2012. ^ "Toronto Blue Jays Managers". Baseball Almanac. Archived from the original on March 12, 2000. Retrieved March 11, 2012. ^ "Arizona Diamondbacks Managers". Baseball Almanac. Archived from the original on January 19, 2000. Retrieved March 11, 2012. ^ "Atlanta Braves Managers". Baseball Almanac. Archived from the original on January 19, 2000. Retrieved March 11, 2012. ^ "Chicago Cubs Managers". Baseball Almanac. Archived from the original on June 14, 2000. Retrieved March 11, 2012. ^ "Cincinnati Reds Managers". Baseball Almanac. Archived from the original on January 18, 2000. Retrieved March 11, 2012. ^ "Colorado Rockies Managers". Baseball Almanac. Archived from the original on January 18, 2000. Retrieved March 11, 2012. ^ "Florida Marlins Managers". Baseball Almanac. Archived from the original on January 18, 2000. Retrieved March 11, 2012. ^ "Houston Astros Managers". Baseball Almanac. Archived from the original on January 18, 2000. Retrieved March 11, 2012. ^ "Los Angeles Dodgers Managers". Baseball Almanac. Archived from the original on January 25, 2000. Retrieved March 11, 2012. ^ "Milwaukee Brewers Managers". Baseball Almanac. Archived from the original on July 8, 2000. Retrieved March 11, 2012. ^ "Montreal Expos Managers". Baseball Almanac. Archived from the original on June 1, 2000. Retrieved March 11, 2012. ^ "New York Mets Managers". Baseball Almanac. Archived from the original on August 16, 2000. Retrieved March 11, 2012. ^ "Philadelphia Phillies Managers". Baseball Almanac. Archived from the original on August 16, 2000. Retrieved March 11, 2012. ^ "Pittsburgh Pirates Managers". Baseball Almanac. Archived from the original on August 16, 2000. Retrieved March 11, 2012. ^ "St. Louis Cardinals Managers". Baseball Almanac. Archived from the original on August 16, 2000. Retrieved March 11, 2012. ^ "San Diego Padres Managers". Baseball Almanac. Archived from the original on May 10, 2000. Retrieved March 11, 2012. ^ "San Francisco Giants Managers". Baseball Almanac. Archived from the original on May 10, 2000. Retrieved March 11, 2012. ^ Olney, Buster. "BASEBALL; After Three Errors, Knoblauch Walks Out". www.nytimes.com. Retrieved February 1, 2013. 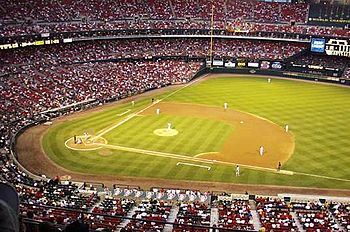 ^ *September 19 – In the Cincinnati Reds' 7–3 loss to the San Francisco Giants, Ken Griffey, Jr. pinch-hits his 400th home run. He is the first major leaguer to reach the mark as a pinch-hitter.